How can I send money with Xoom International lately launched by PayPal in Canada? PayPal launched Xoom international money transfer service in Canada in December 2018. Xoom lets Canadians send money, pay bills or reload mobile balances in over 130 countries worldwide “at competitive rates.” Xoom’s increased presence in North America is a significant milestone and serves as another example of PayPal’s efforts to make the management and movement of money more accessible, secure, convenient and affordable. With this launch, PayPal and Xoom are helping improve the financial health of Canadians and millions of people worldwide. Canada is one of the world’s most diverse countries and is home to nearly 7.5 million foreign-born people from more than 200 places of birth. Xoom will benefit more than one in five people living in Canada – many of whom support family members overseas for things like medical bills, education, utility bills, and other financial needs. Julian King, Xoom’s Vice President and General Manager believes that the traditional methods of sending money abroad are slow, expensive and stressful for both the sender and the receiver. Senders are often faced with worry about when, or if, their money will reach their loved ones. As a disruptive digital remittance provider, Xoom is helping to eliminate these inconveniences so it’s fast and easy for Canadians to send money abroad for cash pickups, bank deposits, reloading prepaid phones and paying bills for loved ones back home—all from the comfort of their homes or from their mobile devices. Xoom customers can send up to $12,500 CAD in a single transaction to over 130 countries including India, China and the Philippines. For send money transactions, depending on the receiver country, users can choose from a range of options: deposit money to a bank account, send cash for pick-up or have cash delivered directly to their recipient’s door. Xoom transfers can be tracked quickly and easily via text updates, email notifications or directly from the mobile app and website. Those who send money abroad can get their questions answered from customer support staff in English, French, Spanish and Filipino. Xoom partners with highly credible banks and partners around the world to provide fast, secure and affordable money transfers. According to the ‘Migration and Remittances’ April 2018 report by the World Bank, globally, the top three receiver remittance countries are India, China and the Philippines. Xoom provides money transfer services to these key remittance corridors in addition to the UK, France, Italy, Germany, and many other countries in Eastern Europe and Africa. How to send money with Xoom PayPal? Xoom is a PayPal service that provides worldwide money transfers. It allows consumers to send money, pay bills and reload mobile phones from the United States to various countries, including China, India, Guyana, Pakistan, Mexico, Brazil and the Philippines. When you send money within the U.S. or to certain countries, PayPal handles your transaction, and you will normally see the payment details in your PayPal account. If you don’t have a Xoom account yet, you can create one right from your PayPal account. Once you log in to PayPal, you’ll be able to access these new international payment capabilities by clicking Send & Request at the top of the page. Next, select the option to Send to friends and family abroad, select your country, and select your delivery method. Paypal will take you directly to Xoom.com and use your PayPal credentials to create a Xoom account for you in the process. If you already have a Xoom account, you’ll be able to link it to your PayPal account when you are taken to Xoom.com. For your convenience, you can use your PayPal credentials to log in to your Xoom account by clicking the Continue with PayPal button on Xoom.com. Also note that since Xoom is a service of PayPal, you can use a bank account, credit card, or debit card linked to your PayPal account. However, you cannot pay with the money in your PayPal balance. For transfer fees click here which varies according to country. You can also download the Xoom app for Android from Google Play and from iTunes for iPhone to send money on the go with PayPal. Xoom is one of the easiest and fastest ways to send money to South Asian countries at competitive rates, including: India, Bangladesh, Pakistan, Sri Lanka, and Nepal. India: Families in India who bank with Punjab National Bank (PNB) benefit from instant deposits, 365 days a year. For all other major bank accounts across the country, like ICICI, SBI and HDFC, transfers are deposited within four hours when sent during Indian banking hours. Families can also pickup their transactions instantly in cash, at over 50,000 locations across India. China: Bank deposits to China are now fast and affordable at competitive rates with Xoom, it can feel like sending a local email transfer. Deposits are instant to most major bank accounts in China when sent during the processing hours of 7:00 a.m. to 10:00 p.m. (Beijing time). You can also send mobile reloads to China and take care of your loved ones, anytime. Philippines: Filipino Canadians now have many options to take care of their family back home with Xoom. Cash pickup is available 24/7 at over 10,000 locations in the Philippines—where cash is usually available instantly. Xoom also offers a door-to-door delivery service with no additional fees and delivery times under six hours to Metro Manila when sent before 3:00 p.m. (Metro Manila time) and one to two days in most provinces. Finally more than 6.5 million active users of PayPal in Canada can now use their log in credentials to access Xoom’s services. ← Which of the PayPal Cards are best to use for shopping online? 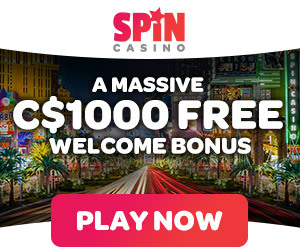 Are there any Canadian PayPal alternatives for online Poker casino deposits? January 18, 2017 Kamal Kaur Comments Off on Are there any Canadian PayPal alternatives for online Poker casino deposits?